In the region of Salento in Southern Italy, the music and dance of the pizzica has been used in the ritual of tarantism for many centuries as a means to cure someone bitten by the taranta spider. 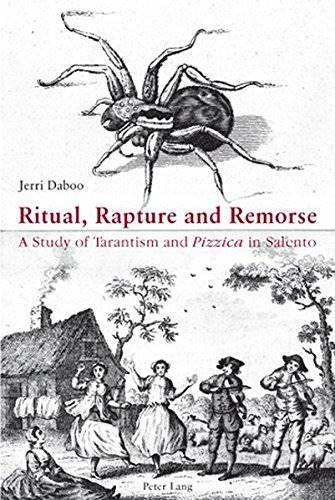 This book, a historical and ethnographic study of tarantism and pizzica, draws upon seven hundred years of writings about the ritual contributed by medical practitioners, scientists, travel writers and others. It also investigates the contemporary revival of interest in pizzica music and dance as part of the ‘neo-tarantism’ movement, where pizzica and the history of tarantism form a complex web of place, culture and identity for Salentines today. This is one of the first books in English to explore this fascinating ritual practice and its contemporary resurgence. It uses an interdisciplinary framework based in performance studies to ask wider questions about the experience of the body in performance, and the potential of music and dance to create a sense of personal and collective transformation and efficacy.